Oh, wait ... he’s white? 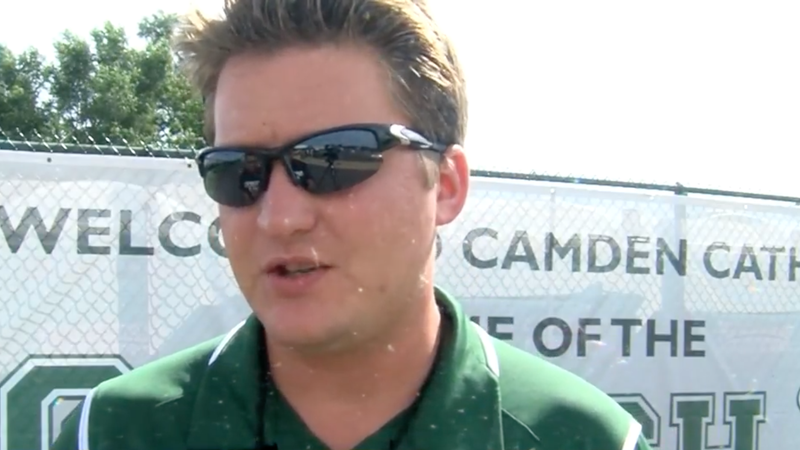 Former football coach, golf coach and history teacher Nick Strom says he was terminated from his coaching duties and placed on administrative leave as a teacher at Camden Catholic High School in Cherry Hill, N.J., according to the Courier-Post. Although his football teams won 34 of the 40 games he coached during his four-year tenure, Strom was informed Friday evening that his contract wouldn’t be renewed. Strom also coached the school’s golf team and taught five periods of U.S. history at the South Jersey high school. Strom said that he had never received a bad performance review as a teacher, and he provided the Courier-Post with two teacher reviews that backed up his assertions. He alleges that school administrators brought up the topic of his team’s racial makeup “about 10 to 20 times” during his tenure because minorities were about half of his football squad’s roster. Allowing students to leave your classroom in the middle of instruction and hang out in other areas of the school. Strom did not deny that he had been reprimanded for not wearing a tie in compliance with the school’s dress code. He also acknowledged that he had another teacher watch his class while he unlocked the locker room for his golf team after school and allowed students to leave his class. After learning of Strom’s dismissal, 25 of the coach’s supporters, including players and parents, met with Whipkey, Crisci and athletic director Derrick Levine. After the 30-minute conversation, 22 students walked out of the school in protest. About half the players on Strom’s team were minority students. According to City Data, the town of Cherry Hill is 7.3 percent black. You’ve gotta give the school credit. They know how to get the black students to leave. Coaches under consideration for the opening include Steve Bannon, Richard Spencer and an unnamed Starbucks barista.